A man who owed the IRS $37,000 refused to turn the machine over for auction. A Greene man who hid his forklift and told authorities in 2010 he would rather go to jail than allow the Internal Revenue Service to seize it to pay back taxes was sentenced on Monday in U.S. District Court in Portland to serve 45 days in prison. The plan backfired for 33-year-old Patrick Doyon, who pleaded guilty in August to a charge of forcible rescue of seized property. Not only was he sentenced by Judge D. Brock Hornby to federal prison, the IRS found his hidden JCB Loadall 508C forklift, seized it and is still holding Doyon accountable for another $25,539.13 in back taxes from 2004 and 2005, according to court records. The IRS places a value of about $11,000 on the JCB Loadall 508C forklift seized from Patrick Doyon. Doyon, who worked in the construction industry, had owed more than $37,000 in back taxes on Aug. 4, 2010, when an IRS revenue officer went to his home and taped seizure warning cards on the cab of the forklift, took the keys and put a seizure warning sticker over the ignition, according to court records. When the IRS revenue officer returned the next day to have the construction-grade forklift removed, it was already gone. Doyon told two IRS special agents who interviewed him in September 2010 that he knew the location of the forklift but would not tell them where it was, prosecutors said in court records. “He stated that the IRS can put him in jail, but he is not disclosing the whereabouts of the Loadall,” Assistant U.S. Attorney James Chapman Jr. said in a court document. Doyon told the federal agents that the forklift was worth $80,000 and that authorities would only be able to fetch $10,000 for it at auction, according to the court papers. “After the defendant’s guilty plea received some attention in the press, a tipster called the U.S. Attorney’s Office to report the location of the Loadall. According to the tipster, the defendant had been storing the Loadall on A.D. Electric property in Monmouth, Maine, as early as 2012,” Chapman said in another court document. 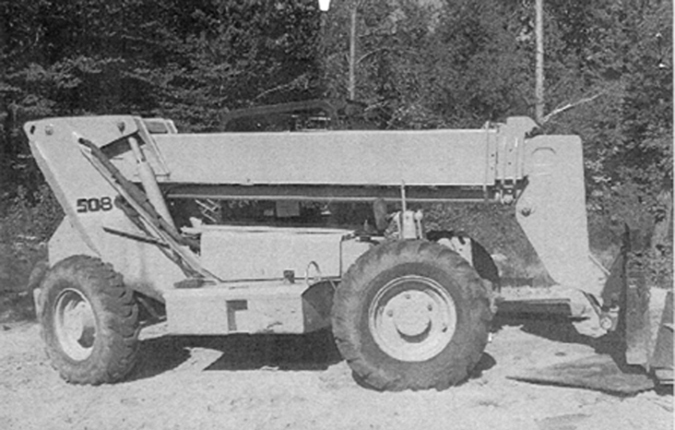 The IRS plans to sell the forklift at auction in 2014, giving it an appraised value of $11,000, according to Chapman. Doyon was also sentenced to serve one year of supervised release following completion of his prison term. He is scheduled to report to the federal Bureau of Prisons on Jan. 24.